For the last month or so I have been busy preparing, planning, scheduling and organising our coming school year, and all I can say is I have dark circles underneath my eyes, it’s not easy. But Alhamdulillah, we’re almost there. 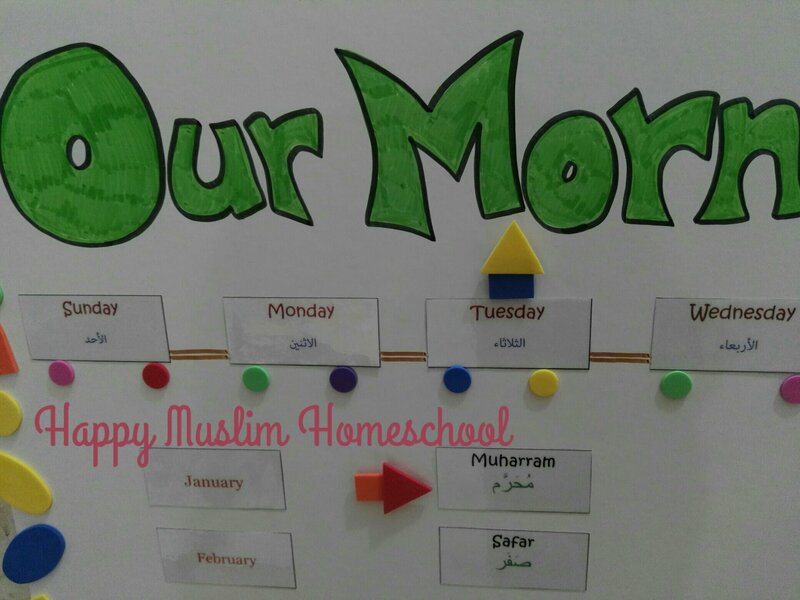 As a way to get our mornings off to a good start and set a positive tone to the day I made a morning board that the kids and I could refer to before we begin our school work. After a quick supply shop at Jarir Bookstore, some PVA glue, what seemed like tonnes of foam shapes and a little printing and typing later, VOILA, here it is. I know you can buy boards, but it was inexpensive to do and I always enjoy personally making something for my kids, they tend to appreciate it more too. 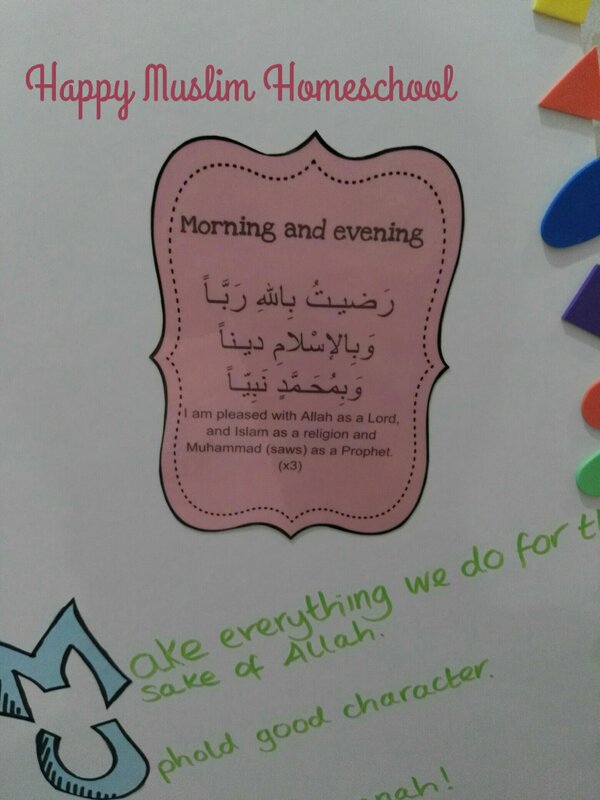 Morning dua – I previously printed this from A Muslim Homeschool. I made little ‘train’ for the days of the week. The foam chimney can be moved along to place on the correct day. You could make up anything that your kiddos like. 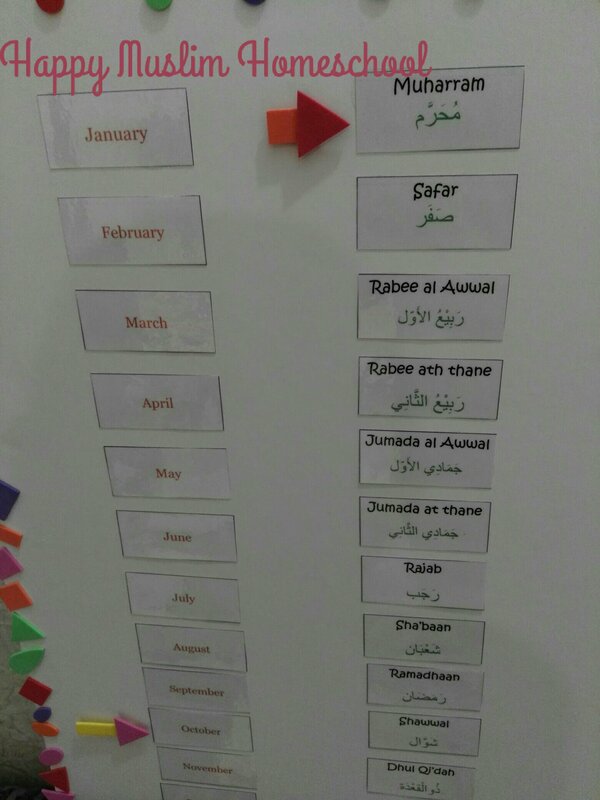 Then I added Gregorian and Hijri months. 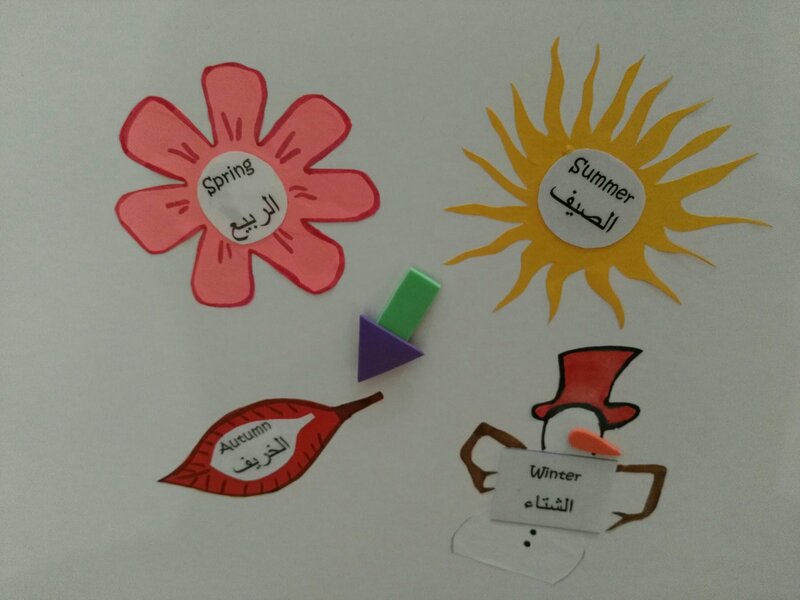 The seasons in Arabic and English, I drew around them for some extra fun. A clock to tell the time, I just cut out some arrows from card then can be moved to point to the correct number. I will also be adding minute hands to this with a marker at some point. 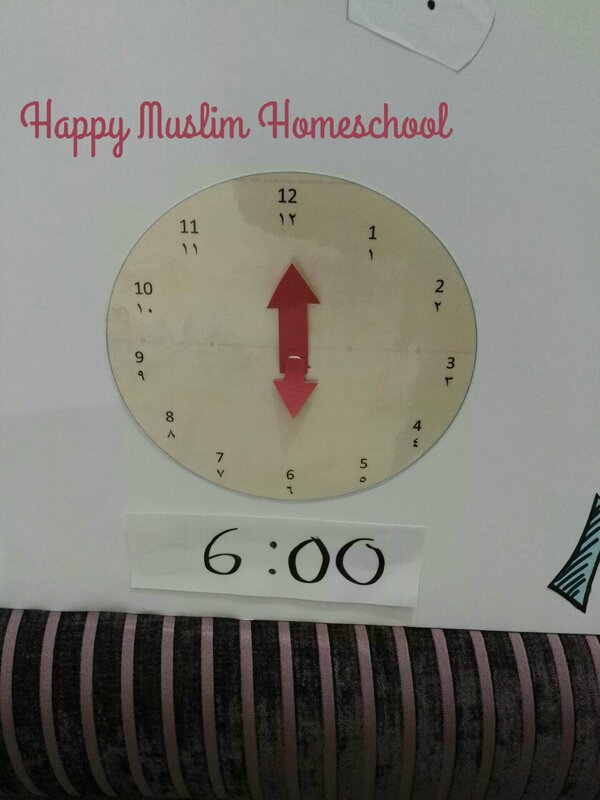 I also placed some plain laminated paper underneath for my kids to write the time which can be easily erased. 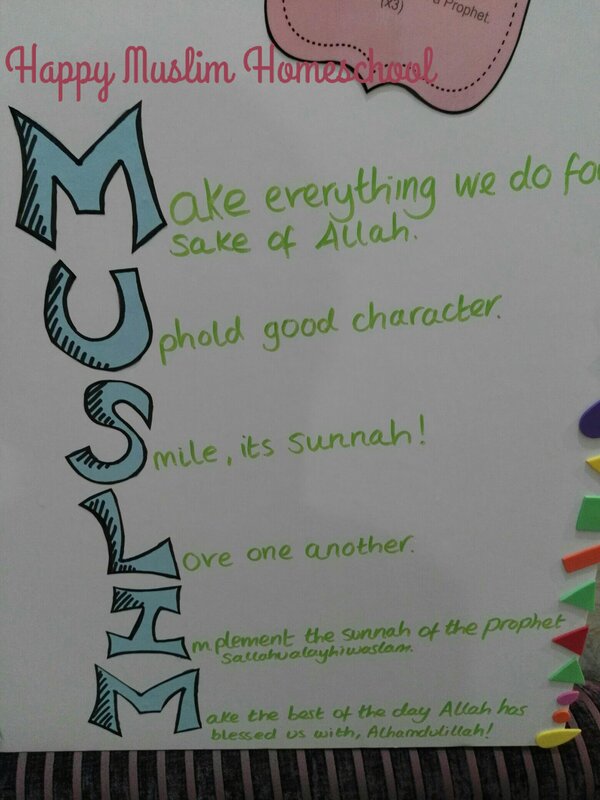 And to finish off, I wrote a simple poem to remind my kids of good manners, a sweet way to start off the day with a good attitude inshaAllah. Lots of foam shapes around the sides for some extra colour and our board was complete! 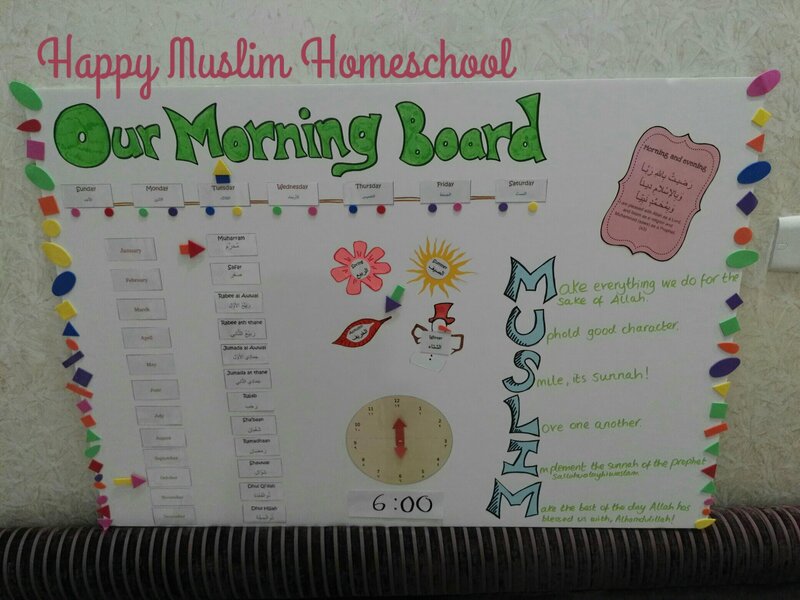 All the templates are available for you to download too, should you be inspired to make your own board.